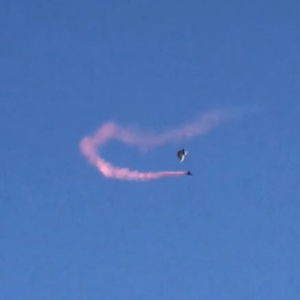 Welcome to our guest post showcasing our unique business which specialises in gender reveal smoke displays by Paramotor. Stopping short of calling it “The best gender reveal yet” we would like to explain to you; who we are, what we do and how we can help you create amazing memories by announcing the gender of your little one in such a unique and creative way. We first came up with the idea when we found out we were expecting earlier this year and my husband having got the bug for this extreme sport, thought it would be a great way to announce the gender of our baby surrounded by our friends and family. Due to a few windy days it meant that the sealed envelope we obtained from the scan clinic was literally burning a whole in our pocket, to the point where I considered steaming it open to have a sneaky peak before putting it back, but the guilt would have been too much and why ruin such a great surprise! Thankfully the few days passed quickly and the weather was absolutely perfect, allowing for us to go ahead with our reveal, so sit back, take a peek and enjoy…….. 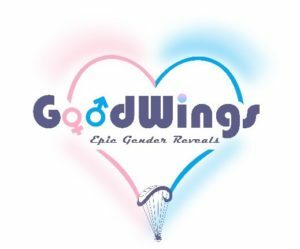 Since that day, we decided to make “Goodwings Epic Gender Reveals” into a registered company, as we wanted other people to experience the sheer joy we felt at finding out in such a unique and dynamic way and due to it being an amazing experience that your loved ones can also share with you and remember fondly for many years to come. 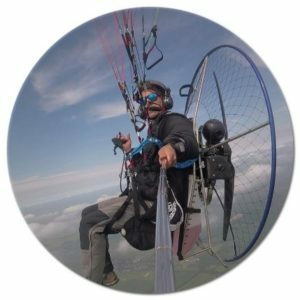 Due to the sport of Paramotoring still being in its’ infancy, not a lot of people know what it is, I certainly had never heard of it until my husband stumbled across it on You Tube. 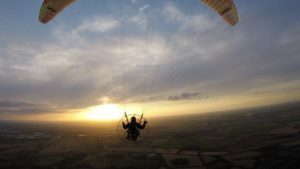 To put it in basic terms, Paramotoring is an extreme sport using a paraglider wing combined with an engine, which is attached to the pilot’s back. The motor provides enough power to make the take-off run just a few paces long. The paramotor and paraglider are easily transportable, fitting into the back of a normal car. Using this exhilarating method, your reveal will be videoed from both the air and the ground as well as photographs taken regularly throughout which will then be edited together to create a 3-4 minute video put to music of your choice if you so wish. Goodwings Epic Gender Reveals Ltd is a limited company incorporated in England under Company number 11506839 and its registered office is 58 Hill Rd, Shrivenham, Swindon, SN6 8SB.